Young Bella is taking a bit of time to get used to being at home alone with Poppie all day. She continues to surprise us every couple of days with some new level of destruction. 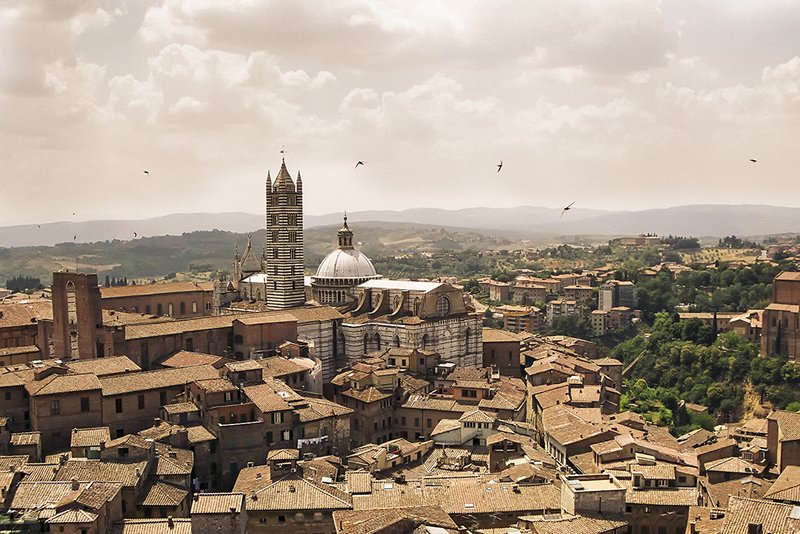 For no reason, a photograph taken from the top of the Torre del Mangia in Siena looking towards the Duomo and the countryside beyond. The view, after climbing the tower’s 400 steps is absolutely wonderful. This shot was taken 12 years ago and has survived a transfer from film to print to scanned image. The scan was state-of-the-art for 2002 (for that read low res, and full of noise) but, with a little Photoshopping, it can be brought back to life.